I do like a pond…. Posted in Gardens by Tim Staves Comments Off on I do like a pond…. Ponds aren’t for everybody (they don’t go well with young children!) but I do like to get them in as many gardens as possible. I like them because they add more interest to a garden than anything else I can think of. 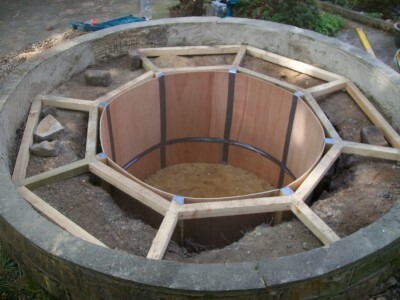 They are great for wildlife, look good most of the year and can be used to add superb noise to a garden. Once in, they are the focal point of any garden. A lot of people think they are hard to look after but I really don’t see why. 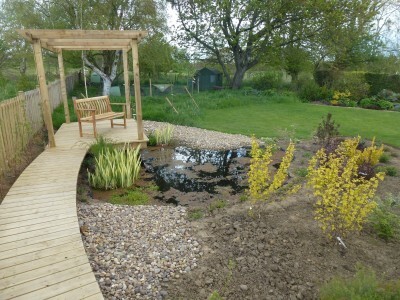 A large pond takes a lot less looking after than a similar sized piece of lawn that needs cutting every week for most of the year and they don’t need much weeding either! A good clear out of plants once a year and make sure the pump isn’t blocked (I clean mine out about once a month) and you are there! 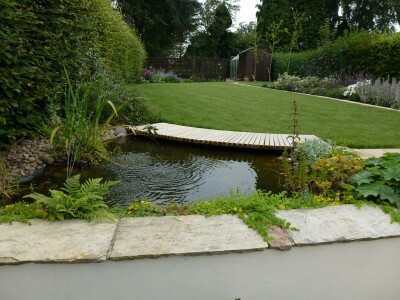 Over the years I have made formal and informal ponds. I use the best liners and make sure they are deep enough in the middle so that they don’t warm up or cool down too much. 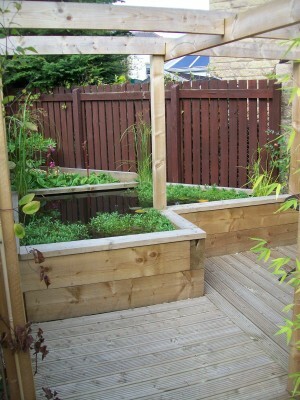 (A lot of garden ponds are too shallow and that tends to lead to them looking like warm pea soup in the summer). 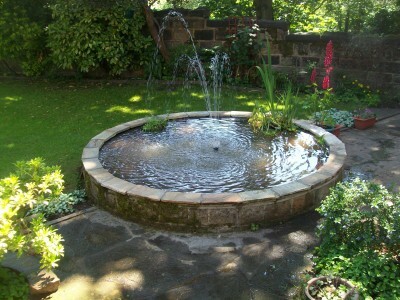 If you are thinking about having a pond or perhaps want an old one rejuvenating, give me a call.